It’s September in Sparta, and the merciless Mediterranean sun beats down on the assembled crowd. The observer picks up a mingling of Greek and Hebrew words and phrases. Pleasantries are exchanged, with promises to keep in touch and strengthen cooperation and friendship and the like. This conference, titled SPARTA-ISRAEL CONFERENCE 2018: Renewing an Ancient Friendship, took place this previous September and was organized by the Greek branch of the fraternal B’nai Brith Organization. What are these mentioned letters all about? Josephus also quotes this letter and also records correspondence between the Spartans and both Simon the Hasmonean and his brother Jonathan. The current geopolitical realities that are seeing warming ties between the Jewish state and its non-Arab neighbors in the Mediterranean is not without its detractors. Some Greeks are still nursing a grudge against the Jews, it would seem. One of the delicious ironies about Chanukah is that the aforementioned Books of Maccabees form part of the Greek Orthodox canon (as well as that of other Christian denominations). This is astounding when one recalls that the Jews did not preserve those books at all (in fact, all current editions are re-translations from Koine Greek. However, it is also important to note that some rabbis — such as the former Sephardic Chief Rabbi of Israel Mordechai Eliyahu — strongly encouraged the reading of the Books of Maccabees on Chanukah). The Greek Orthodox Church also celebrates a Chanukkah of sorts of their own, the commemoration of the “Maccabean martyrs” takes place on August 1. The Church also considers Antiochus Epiphanes to have been an impious pagan. It is important to note that paganism and worship of Greek gods did survive in Greece up until modern times. In fact, these modern-day Zeus worshipping Greeks- calling themselves “Supreme Council of Ethnic Hellenes”- have experienced a renaissance as of late. They are not looked at with sympathy by most Greeks to be sure; in 2017 the BBC quoted Officials of the Orthodox Church who condemned the neo-pagan movement as “a handful of miserable resuscitators of a degenerate dead religion”. The relationship between Jews and Greece and Greek culture is complicated and nuanced. For instance, I find it ironic that there are only two orthographically kosher languages in which one can write a Torah scroll according to the Halacha: Ashurit (Assyrian script) and Greek. This is quite a remarkable thing, a Torah scroll written in ancient Paleo-Hebrew is invalid (perhaps there’s also an anti-Samaritan polemic hidden there). It’s important to remember that Chanukah was not and is not an anti-Hellenistic Greek holiday it is also interesting to note that Greek Jews strategically translate “the wicked Greek kingdom,” which appears in the Al Hanisim prayer, into “The Syrian kingdom,” which is technically correct and also spares them a PR headache. Jewish leaders in Salonica published a new prayer book, Sha’are Tefilah, in March 1941. One of the pioneers in the field of the Sephardic Studies in the United States, the Istanbul-born and Seattle-based writer Albert Adatto acquired an exemplar of this rare book, thereby enabling us to access the long-lost world of Jewish Greece on the brink of destruction. Remarkably, the editors of the prayer book — Salonican-born Jews who had been educated in Palestine — dedicated it to a Jewish soldier who had fallen on the battlefield defending “our beloved homeland, Greece.” Written not in Greek, but rather in Judeo-Spanish, the dedication aimed to show to Jews themselves that they ought to think of themselves not only as religiously Jewish and culturally Sephardi, but as Greek patriots, too. They believed that all of these allegiances could be held simultaneously. More remarkably, in Maoz tzur (“Rock of Ages”), the popular Hanukkah song, the reference to the enemy as Yevanim (“Greeks”) is replaced by Suriim (“Syrians”). The editors accomplished this clever switch by reference to the historical record. The Seleucids, the Hellenistic empire in control of Judea at the time of the Maccabees, were indeed culturally Greek, but they were geographically based in Syria. Hence the Salonican Jewish leaders could transform the “Syrians” into the Hanukah enemies and thereby more easily embrace Greece as their beloved homeland. The rabbis adopted a very nuanced attitude toward Hellenism throughout the Greco-Roman period. Many rabbis, beginning from the Mishnaic era, adopted Greek names, co-opted many Greek ideas and even praised the wisdom and beauty of the Greeks in their homiletic teachings. The early rabbinic writings have only tender things to say about Alexander the Great. You may be familiar with the famous story of the Jewish High Priest going to meet the mighty general as the latter planned an invasion of Judea (this appears both in the Talmud and in Josephus with slight variations). The province of Judea, or “Coele-Syria,” switched hands several times after Alexander’s untimely demise. Whether under the Ptolemaic-Egyptians or the Seleucid-Syrians, there was little persecution under Alexander’s early generals/successors, and in fact, Antiochus I (ancestor of Antiochus Epiphanes- “the mad one”) was a Philosemite by all accounts. Yannai was one of the great liturgical poets who flourished in the Land of Israel in either the 6th or 7th centuries. For many years little of his poetry was thought to have survived. This changed with the gradual discovery of numerous fragments from the Cairo Genizah. In 2010, Dr. Laura Lieber published a selection of Yannai's "Qedushtaot" (a Qedushta was the section of liturgical poetry recited in Eretz Israel congregations during the Sabbath morning services. It was arranged according to the weekly Torah portion) on the book of Genesis. Many of Yannai's verses are based on Genesis Rabbah- the earliest of the Midrashic corpus. Reading this poetry often gives us Yannai's unique take on a given topic. This week marks the last portion of the book of Genesis. The portion of Vayechi tells of the the last days of the patriarch Jacob; the blessings of Jacob to his sons and the eventual mourning and celebration of his life and legacy. In Genesis 48:1, Joseph is summoned to his father's deathbed where he makes him swear that he will not bury him his Egypt but rather carry him back to Canaan. The symbolism here is unmistakable. Yannai is of the opinion that Joseph did indeed swear an oath on his circumcision that he will not bury his father "a lamb among asses". Israel is likened to a lamb among wolves and the Egyptians as the "land of asses" in other Midrashic literature. Here the theme of paternal love is emphasized. Yannai also emphasizes the great love that Joseph had for his father (and his own two sons). Jacob gathers his remaining strength to sit up for his beloved son. He calls on Joseph first because he is still his favorite. Joseph honors his father and brings along his sons, Manasseh and Ephraim so they too can receive paternal blessings as "grandson are considered as sons" (a concept found in other early literature and in the Talmud). Although in Genesis 48:1, Jacob famously reverses the order; putting his right hand on the younger Ephraim rather than the first born Manasseh (seemingly continuing a pattern that did not end well last time around), Yannai stresses that there is no inferior or superior brother; both are equal and will be great in their own right. A fitting ending. Yannai lived in a Byzantine milieu where security and prosperity was hardly assured for the long term. As tempting as it would be to know the meaning of the present and the mysteries of the future, it is better for man to live in the moment and leave the mysteries to the divine. Post-genesis, the relatively prosperous and secure future of the Israelites will undergo a radical change but it is all for an eventual greater good. Above all, there is hope and faith that whatever happens is divinely ordained. Timisoara in Transylvania (either Hungary or Romania depending which side you're rooting for) was one of the more intesting and unique communities of pre war Jewish Eastern Europe. Here is a list of Rabbis who served this community. As you can see there are a mix of Sephardim and Ashkenazim. At times the communities maintained separate kehillot -each one with its own respective spiritual leader. However this was not always feasible and often a sole Rabbbi (sometimes a Sephardi, at other times an Ashkenazi) served both communities. There was a degree of intermarriage as well between the two groups, as late as the 19th century. This is very unique for Eastern Europe. Levi Yerushalmi served both communities from 1681-1752. He was an Ashkenazi who had previously served in both the Sephardic and Ashkenazic congregations in Belgrade, Serbia. He was intimately familiar with both rites as well as fluent in Yiddish and Ladino often giving sermons in both tongues. The minutes of several Transylvanian kehillot (for instance, Alba-Iulia or Karlsburg) were recorded in both Yiddish and Ladino, a very unique phenomenon to say the least. "כך רימה אלגאזי את סבא", עיתון מקור ראשון 8.6.2007, מאת שאול וידר"
עשרה בטבת, יום הקדיש הכללי, נקבע על ידי הרבנות הראשית כיום זיכרון לכל היהודים שנרצחו בשואת יהודי אירופה. על אף העוגן שנותן יום זיכרון כללי, נדמה כי חלק לא מבוטל מצאצאי הנרצחים מנסים למצוא את היום המשוער או הקרוב ליום מיתת קרוביהם בכדי לייחד יום זיכרון פרטי, בו ייזכר הקרוב באופן אישי יותר. כך הדברים כלפי סבא-רבא שלי, הרב יעקב וידר. במהלך חודש סיוון תש"ד (1944) הגיעו למחנה ההשמדה אושוויץ עשרות אלפים מיהודי הונגריה לאחר מסע מייסר ברכבות משא. בין אותם יהודים היו עשרה מילדיו של ר' יעקב וידר ועוד כמה מנכדיו, וכולם נספו בזמנים שונים מיום הגעתם לגיא ההריגה. אך גורלו של הסבא-רבא עצמו היה שונה: לפי עדויות ניצולים הוא נהרג על רציף הרכבת, במסדר הראשון שנעשה עם הגעתם. הוא סירב להוריד את הכיפה מעל ראשו, וחייל גרמני שהיה לידו לא התמהמה, הכה בראשו עם קת הרובה, והוא צנח ומת. כך סיפרו ניצולים ששבו לטמישווארה, מקום מגוריו של סבי, ר' יהודה אריה וידר, שנותר השריד היחיד למשפחה. סבי זה ניצל כיוון שהיה במחנות עבודה בחלק הרומני של טרנסילבניה. הניצולים לא ידעו לומר בוודאות באיזה יום נהרג ר' יעקב, אך להערכתם קרוב לוודאי שהיה זה מספר ימים לאחר חג השבועות תש"ד (1944). רק בבגרותי נודע לי על סיפור הירצחו של הסבא-רבא, וכשניסיתי לברר פרטים נוספים עליו שמעתי לראשונה על סיפור הדפסת הירושלמי על סדר קודשים, שיצא לאור לראשונה לפני מאה שנים. ר' יעקב וידר נולד לערך בשנת תרל"ה (1875). הוא התייתם מהוריו, ומי שגידלו היה דודו, ר' מנחם מנדל וידר שהיה ידוע כ"מדפיס מסיגעט". כנער למד בעצמו את מלאכת הדפוס תוך צפייה והתבוננות מעליית הגג, כיוון שדודו סירב ללמדו אומנות זו. בשנת תרס"ה (1905) הקים בית דפוס משל עצמו בעיירה סעאיני במחוז סאטמאר, טרנסיליבניה. במהלך שנה זו הדפיס ארבעה ספרים, ביניהם הספר 'יערות דבש' לרבי יונתן אייבשיץ. העובדה החשובה לענייננו היא עבודת הדפסה מורכבת של סדר נשים של התלמוד הירושלמי, עם פירוש "חשק שלמה" למסכת יבמות. מחבר ה"חשק שלמה" הוא שלמה יהודה אלגזי ס"ט (ספרדי טהור) המכונה פרידלנדר. אותו פרידלנדר היה תלמיד חכם כישרוני ביותר, ופירושו זכה להסכמות מגדולי הרבנים במחוז סאטמאר והסביבה. מצויד בהסכמות מצוינות ומעריכות על פירושו, עבר פרידלנדר למשימה הבאה: הכנת תלמוד ירושלמי לסדר קודשים. לפני המשך הסיפור, מספר מילות הסבר מתבקשות: בידינו מצוי כיום תלמוד ירושלמי לארבעה סדרים: זרעים, מועד, נשים ונזיקין. מקריאת הקדמת הרמב"ם לחיבורו "משנה תורה" ניתן להבין כי התלמוד הירושלמי כולל חמישה סדרים, אך הרמב"ם לא מפרט את שמותם. הרב משה מרגלית, בפירושו 'פני משה' לירושלמי, טען כי לא מצוי ירושלמי על קודשים, בעוד שחכם אחר, החיד"א (רבי חיים יוסף דוד אזולאי), סבר שכנראה ישנו כזה, אך הוא נעלם מעינינו. אף בין חוקרי התלמוד נשתמרה מחלוקת זו. בספרו 'ירושלים הבנויה', מצדד ר' שלמה בובר בדעת החיד"א. על פי דעה זו, החל פרידלנדר ללקט מארבעת התלמודים בירושלמי סוגיות העוסקות בנושאים הקרובים לסדר קודשים, ומתוך אוסף זה ביקש לזייף תלמוד ירושלמי שלם לסדר קודשים, כביכול על סמך כתב יד נדיר שנמצא בדרך מקרית ביותר על ידי אחיו בטורקיה. כתב יד זה, ממשיכה האגדה המלאכותית, הגיע למפרש ירושלמי בשם רבי יהושע בנבנישתי, וזה כתב פירוש בשם "שדה יהושע", ולפני כן התגלגל אצל אחד מאנוסי ליסבון. אחיו של פרידלנדר הצליח להגיע לכתב היד, וקיבל רשות להחזיק בו משך חצי שנה בלבד, שכן בעליו מבני משפחת ה"שדה יהושע" לא היה מוכן למוכרו בעד כל הון שבעולם. מתוך העתקה מהירה מכתב היד המקורי, שהגיעה כביכול לידיו של פרידלנדר, הוא יוציא לאור את הירושלמי על קודשים. פרידלנדר ידע כי הוצאת הירושלמי תהווה עבורו מקור כלכלי רב ערך, כיוון שעולם התורה יקנה בהמוניו את האוצר הבלום, שנסתר מאות שנים מבלי שלומדי תורה הגו בו. הוא זיהה את התמימות ואת אהבת התורה שהיתה בסבא-רבא שלי, שמדי יום פקד את בית המדרש בשעה חמש, בתום עבודתו בבית הדפוס. פרידלנדר שכנע אותו כי יש בידו כתב יד נדיר לירושלמי קודשים, וכי לאחר הדפסת הירושלמי יזכו שניהם לעושר רב, דבר שיסייע לסבי רבות בפיתוחו של בית הדפוס. במהלך שנת תרס"ו שקד פרידלנדר על הכנת התלמוד הירושלמי למסכתות חולין ובכורות מסדר קדשים. תוך כדי עבודתו פרסם "קול קורא" המודיע על מציאת כתב היד, הכנתו לדפוס, והוצאתו לאור בע"ה בשנת תרס"ז. מתברר כי הוא שלח שני סוגים של "קול קורא": הראשון נועד לרבני עיירות וערים במזרח אירופה, למעט רוסיה. בכרוז זה הופיעו המלצותיהם של ארבעה מגדולי הרבנים והאדמו"רים שבאזור סאטמר, הכותבים על החשיבות האדירה של המסמך שברשות פרידלנדר. קול קורא זה שימש גם לפנייה בבקשה לתרומה כספית, בשל ההוצאות הרבות שיש בהכנת כתב היד לדפוס. וכך כתב הגאון מבערז'אן, הרב שלום מרדכי שבדרון, בעל שו"ת מהרש"ם: "ראיתי אור כי יהל כשמש בצהרים, הוא הירושלמי קודשים... ועלינו לברך יוצר המאורות...". והוסיף הרב יצחק לייב סופר, בנו של ה'כתב סופר': "ובוודאי, מי שאהבת התורה בוער בקרבו, יביא את הברכה היקרה הזאת אל ביתו בכסף מלא". דברים בסגנון דומה כתב בעל 'תבואות השדה', הרב אליעזר דייטש, וכן אב בית הדין של סאטמאר, הרב יהודה גרינולד. קול קורא שני נשלח לחכמי תורה שהיו ידועים גם כאנשי מחקר במדעי היהדות, כגון רבי שלמה בובר ור' שניאור זלמן שכטר, נשיא הסמינר התיאולוגי יהודי בניו יורק. שכטר, שעסק באותה עת במיפוי והוצאה לאור של קטעים מ"הגניזה הקהירית", קיבל כרוז דומה, שהודפס ללא חוות דעת הרבנים (כך מתברר מעבודת מחקר מקיפה על כתביו של שכטר, שערך הרב ברוך אוברלנדר, רבה של קהילת חב"ד בבודפסט כיום). שכטר התלהב ממכתבו של פרידלנדר, והיה מוכן לשלוח סכום כסף נכבד תמורת קבלת כתב היד בתוך זמן מה. פרידלנדר שולח לשכטר במהלך מחציתה השניה של שנת תרס"ו עשרות מכתבים, ובהם הוא מתמקד בשני נושאים מרכזיים: האחד, תיאור הקשיים והעיכובים שיש לו בקבלת כתב היד המקורי, למרות הכסף שקיבל משכטר; השני, בקשה לסכומי כסף נוספים, זאת כיוון שהמדפיס עני מאוד ומתעכב בעבודתו. מחד הוא משמיץ את סבי, אך מאידך אין הוא נמנע במקביל לשלוח לבובר מכתבים שבהם הוא משבח את המדפיס ומבקשו לכתוב לשכטר בבקשה לתרומה כספית נוספת. מדי פעם הוא שולח לדוגמא דפי ירושלמי שכבר הוכנו בדפוס, על מנת שניתן יהיה להתרשם כי העבודה בעיצומה. בחורף תרס"ז יצא הכרך של מסכת חולין ובכורות עם מבוא וביאור מילים מאת רבי שלמה בובר, ופירושו של פרידלנדר "חשק שלמה", עם מבוא ובו תיאור סיפורי גדוש בפרטים על גילגולו המופלא של כתב היד שממנו הודפס ויצא לאור הכרך. הספר, כמתבקש, עורר עניין רב בקרב לומדי התורה, וגדולי רבני אירופה רכשו אותו. מספר חודשים לאחר מכן פורסם בכתב העת 'הקדם' מאמר מאת הפרופ' המלומד בנימין זאב באכר, שטען שיש בירושלמי החדש דברים תמוהים. במקביל, רבה של רוטרדם בהולנד, הרב ד"ר דב אריה ריטר, פרסם בכתב העת "דר יזראעליט" מאמר מפורט, שבו הוא טוען מפורשות כי הירושלמי מזויף. לחיזוק דעתו הוא מקבל מכתב מהרב מדווינסק, בעל ה"משך חכמה", שבו נכתב כי פרידלנדר אינו ספרדי כלל, ואף שמדבר הוא עברית הרי שכישרון יש בו לשפות. מקום לידתו הוא ביעשינקביץ שבפלך וויטעבסק, ו"ומרוסיה יצא העגל הזה". לדעה זו הצטרף גם חוקר הירושלמי מווילנא, הרב דוב ראטנר, בעל "אהבת ציון וירושלים". כנגד חיבורו של הרב ריטר יצא בשנת תרס"ח חיבור בשם 'ענה כסיל - או על שלושה פושע ישראל". אף חיבור זה הודפס בבית הדפוס של סבי, ומגמתו תשובה גלויה כנגד הרב ריטר. מחבר הספר הוא אברהם רוזנברג, שמציג עצמו כתלמידו המובהק של פרידלנדר (בדיעבד התברר, כמובן, כי רוזנברג הוא לא אחר מאשר פרידלנדר עצמו). בכל אותה שנה הדפיס סבי רק ספר אחד: קיצור שולחן ערוך של הרב שלמה גנצפריד. כנראה שאת עיקר זמנו ייחד לעבודה על הכרך השני של הירושלמי החדש על קודשים. במהלך אותה שנה ניתק שכטר את התקשרותו עם פרידלנדר, כנראה משום שלא זכה לראות את כתב היד שפרידלנדר הבטיח לו, במקביל לשמיעת ההדים מהפולמוס התוסס שהתרחש במזרח אירופה. בשנת תרס"ט יצא לאור מבית הדפוס של סבי חלק נוסף מן התלמוד הירושלמי לסדר קודשים, הפעם מסכתות זבחים-ערכין, ובו גם הבטחה לכרך שלישי על מסכתות נוספות. בשנה שלאחר מכן, שנת תר"ע, לא הדפיס סבי שום ספר. כנראה שבשלב זה החלה אצלו הידרדרות כלכלית, שנבעה מכך שהשקיע את כל כספו בקניית הזכויות על העתק כתב היד שפרידלנדר השתמש בו. בנוסף הצטברה התנגדות חריפה מאת רבני הונגריה לרכישת הספרים, דבר שצמצם את מכירת הספרים שהודפסו ואת האפשרות להרוויח מכך כסף. לסבא-רבא לא היתה הרבה ברירה; הסיכוי הקלוש שבדברי פרידלנדר יש אמת הוביל אותו בשנת תרע"א להתאמץ ולהדפיס ספר בודד בשם 'חרב נוקמת', שאף אותו כתב פרידלנדר, הפעם בשמו של רב לא מוכר מהעיר וינה. בספר זה הוא מתפלמס בצורה פוגעת וחסרת גבולות עם אחד מגדולי הדור ההוא, הרב מאיר פלוצקי, הידוע כבעל פירוש "כלי חמדה" על התורה, כנגד חיבורו "שאלו שלום ירושלים" אשר הוציא בשנת תר"ע. הרב פלוצקי יוצא בחיבורו על מנת "לשרש חלק מסולף זה מתורתנו הקדושה אשר ניתנה משמים ולא תהא תורה אחרת", זאת למרות שהיה מבין ראשוני המתלהבים מהוצאתו לאור של הירושלמי, ואף ציטט ממנו בפירושו. בעל "כלי חמדה" מוכיח שמדובר במעשה רמאות באמצעות הפרכת סיפור המעשה של מציאת כתב היד. הישועה לסבי ומשפחתו לא הגיעה אף מהספר 'חרב נוקמת', ויצירתו של פרידלנדר לא זכתה לחידוש אמינותה. אט אט הצטרפו לרב פלוצקי גדולי רבני אירופה, ביניהם הגאון הרוגצ'ובר, רבי יוסף רוזין, בעל 'משך חכמה', הרב מאיר שמחה מדווינסק, וכן האדמו"ר מגור בעל ה'אמרי אמת'. האדמו"ר מגור ביקש שיביאו לפניו את המחבר או את כתב היד, וכאשר נשלח אליו קטע ממה שנטען כי הוא כתב היד, הוכיח דרך גירוד כי מדובר בזיוף. בשנת תרע"ג יצא ספר בשם 'ציד רמייה' מאת ר' יעקב צבי ינובסקי מקייב, ובו הראה כיצד נעשתה לדעתו מלאכת ההעתקה מסדרים אחרים. יש לציין שרוב הרבנים שיצאו נגד הספר הביעו את התלהבותם ושמחתם בתחילה, בראשית גילויו של הספר בדפוס. ידוע הסיפור על החכם הצפתי הרב יעקב דוד בן זאב (הרידב"ז), שבעת קבלת הכרך הראשון של הירושלמי על קודשים לבש בגדי לבן ובירך "שהחיינו"; לאחר מספר שנים, הצטרף גם הוא לדעת הרבנים שחשבו כי מדובר בזיוף. בספר היובל 'הפרדס' משנת תשי"א, כותב הרב יקותיאל יהודה גרינולד בזיכרונותיו שהיו לו קשרים קרובים עם פרידלנדר, ומספר שבאחת משיחותיהם התוודה פרידלנדר באוזניו כי מעולם לא מצא כתב יד לסדר קודשים של הירושלמי. "אכן אמת זייפתי", אמר לו, "ואף החיבור בשם תלמידי אברהם רוזנברג שלי הוא". פרידלנדר הודה לו ששמו אינו אלגאזי ושאינו ס"ט, וכי שמו מלידה הוא זוסיא ומקום לידתי ביעשינקביץ. בנוסף אמר לו כי קל היה לו לבצע את מלאכת הרמייה דווקא בהונגריה, כי יש בה "אנשים תמימים וישרים". לא אפרט כאן בנוגע לרמאויות נוספות שמצאו הרבנים והחוקרים במהלך חייו ואופיו של פרידלנדר, ואסתפק בציון שתיים עיקריות: האחת - התברר שניסה לזייף קמיע אשר ממנו רצה להוכיח כי רבי יונתן אייבשיץ האמין בשבתי צבי כמשיח; השנייה היא מתוך זיכרונות הסופר אלכסנדר זיסקינד רבינוביץ' (אז"ר): בשנת תרנ"ב (1892) רצה פרידלנדר לשאת לאישה נערה מפולטאבה, תוך שהוא מציג עצמו כד"ר וייס. כאשר אביה ניסה לברר עליו פרטים באמצעות הודעה בעיתון 'המליץ', התברר ממכתב תגובה שקיבל להודעתו כי פרידלנדר, ד"ר וייס, הותיר אישה עגונה במקום הולדתו ובני משפחת האישה מחפשים אחריו. מכתב תגובה שני שהתקבל היה בשבחו המופלא של פרידלנדר, אך רב המקום גילה על ידי השוואת כתב היד שאף את המכתב הזה כתב פרידלנדר בעצמו. אף שסיפור המרמה מסקרן ומושך, הרי שתלמידי החכמים ולומדי התורה המרוּמים חשובים יותר. כמובן, מעייני נתונים יותר מכל לסבי הגדול והתמים, שניסה לקיים עצמו בדוחק בעקבות מעשה פרידלנדר על ידי הדפסת ספר בודד בשנים תרע"ב עד תרע"ה, אז נאלץ "לפשוט את הרגל". בית הדפוס נסגר למשך שש שנים. בשנת תרפ"ב נפתח בית הדפוס מחדש בסיוע שני הבנים, כשסבי ר' יהודה אריה נושא בעיקר עול העבודה. שלוש שנים לאחר פתיחת בית הדפוס בשנית, בשנת תרפ"ה, בית הדפוס כבר הדפיס למעלה מעשרה ספרים. במשך הזמן נהפך לבית הדפוס המוביל בטרנסילבניה. עד לשנת תש"ג (1943) הודפסו בו כמאה ועשרה ספרים. אף בשנת תש"ג עצמה הצליח סבא לעבוד, ולהדפיס את הספר "בעל שם טוב", ואת חידושיו ודרשותיו של אב בית הדין בשולגוטריאן, רבי משה בן אהרן דוד דייטש. ידוע לי כי היה לסבי ז"ל כעס רב על פרידלנדר ומעשהו, אך לא שמעתי ממנו אמירות כנגדו. מאידך, סבי הדגיש את אמונת החכמים שהיתה לאביו, וציין שרק לאחר שנתנו רבני הסביבה את אישורם החל במלאכה - מלאכה שראה בה לא רק פרנסה, אלא מלאכת קודש למען הפצת תורה והאדרתה. Zionism Among Sephardi/Mizraḥi Jewry (proper citation on the bottom). The mainstream modern Zionist movement was founded and developed by Ashkenazi Jews in Eastern and Central Europe, and institutions such as the World Zionist Organization and the Zionist Congresses were dominated by Ashkenazi European Jews. The majority of the pioneer settlers (Heb. ḥaluṣim; usually rendered in English as halutzim) who created the new Yishuv and its institutions in Palestine were also Ashkenazim, and they became the principal founders of the State of Israel. 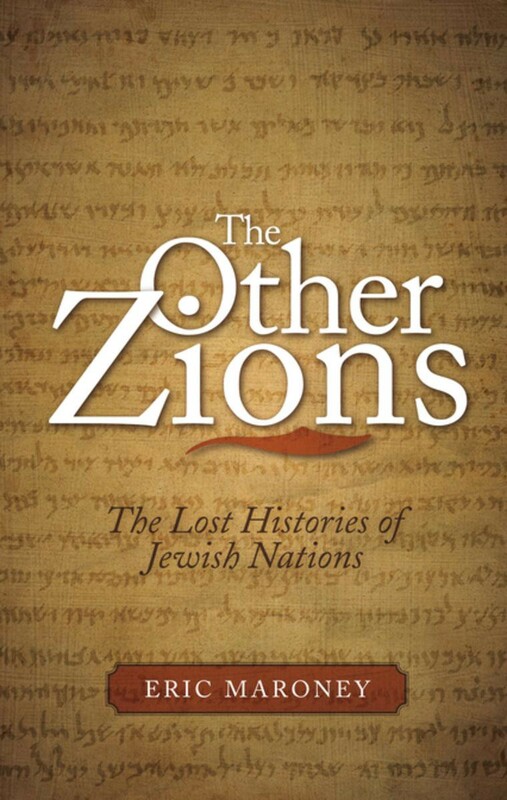 Not surprisingly, therefore, most of the standard histories of Zionism pay virtually no attention to the evolution of Zionist thought and activity, whether religious or secular, among the Jews of the Islamic world. The only figure who receives some attention in the general surveys is a Bosnian, Rabbi Judah Alkalay [Alqalay] (see the Ottoman Empire and Turkey section below), because he was an important harbinger of religious Zionism, and his extensive writings came to have a degree of retrospective importance within the movement later on. The hope for a return to the Land of Israel, which by a poetic synecdoche had since the time of the Babylonian Exile been referred to as Zion, was part and parcel of the Jewish messianic belief. But traditionally the awaited redemption was not to occur until the End of the Days. There were some, however, in the Middle Ages and later, who wished to hasten the redemption by a return to the Holy Land. One such group was the sect known as the Mourners of Zion (avele ṣiyyon), who established themselves in Jerusalem, followed a strict ascetic lifestyle, and spent their time in prayer for the national restoration. They were joined around 880 by the early Karaite theologian Daniel al-Qūmisī. He is believed to have been the author of an epistle urging the Karaites of the Diaspora to come and settle in Jerusalem and there pray for redemption. The great poet Judah ha-Levi was the most articulate voice not only of the traditional longing for Zion, but for a return even before the final redemption. Some of the verses in his cycle of Hebrew poems known as the “Songs of Zion” (shire ṣiyyon), such as Libbi ve-Mizraḥ (My heart is in the East) and Ṣiyyon, ha-lo tishʾali (O Zion! Dost thou not ask?) became theme songs for the later Lovers of Zion (Ḥoveve Ṣiyyon) movement in Eastern Europe. And at the conclusion of Ha-Levi’s philosophical treatise The Kuzari, the rabbi goes off to settle in the Land of Israel, something which in fact Ha-Levi himself did in the twilight of his life. Thousands of Sephardim settled in Ottoman Palestine in the sixteenth century, and the Sephardi courtiers Doña Gracia Mendes Nasi and her nephew Don Joseph Nasi conceived projects for developing the Holy Land. Although these projects had a practical side, they also had definite messianic overtones. Throughout the succeeding centuries, Jews in Islamic countries from Morocco to Iran and Central Asia maintained strong, direct ties with Palestine to much greater extent than their coreligionists in Europe. This was due both to their greater physical closeness to Palestine and to the fact that despite internal political divisions, the Muslim world still formed a civilizational unit. During the nineteenth century, Jews from Bukhara, Kurdistan, North Africa, and Yemen came to Palestine not to spend their lives in prayer, study, and living off the dole (ḥaluqqa) funded by charitable contributions from the Diaspora, but rather to earn their livelihood through commerce, handicrafts, and manual labor, which was in marked contrast to the majority of traditional Ashkenazi immigrants prior to the arrival of the pioneers of the First ʿAliya during the last two decades of the nineteenth century. While the sentiments of these immigrants from Islamic countries were rooted in traditional messianic ideas, they were also in part a response to modern currents that were just beginning to be felt during this period. The following subsections of this entry will survey both these proto-Zionist movements and the actual engagement of Jews in different Islamic countries and regions with the modern movement that came out of Europe. Zionism arrived in Egypt in 1897 with Joseph Marco Barukh, a native of Istanbul, who came to Cairo and spread the message there. The Jewish population in Egypt had by then grown considerably (and continued to grow) thanks to the continuing arrival of refugees and other Jews. The community was increasingly divided between old settlers and newcomers, Ashkenazi and Sephardi, rich and poor, old and young, well-educated and semi-literate, modernized and traditional, Orthodox and secular—all using a variety of languages. Its diversity encumbered the spread of Zionism, especially from the organizational perspective. The first Egyptian Zionist association, Bar Kokhba, was set up in Cairo by Barukh in 1897 with seven members. By 1900, it had sixty members, and by 1901, three hundred, as well as a clubhouse with a cafe, and a library and reading room. Other associations, usually short-lived, sprang up in Cairo, Alexandria, and, on a more limited scope, in Tanta, Port-Said, and Mansura. Small as these organizations were, they were often troubled by internal leadership disputes and competition with other groups before the First World War. A number of Zionist or pro-Zionist periodicals appeared prior to the war, among them the French-language Le Messager Sioniste and the Judeo-Arabic and Arabic Miṣraim. Like the early Zionist organizations, most of the publications were short-lived. Among the more than eleven thousand Jewish refugees from Palestine who came to Egypt during World War I were many ḥaluṣim (Zionist pioneers). They had some success in unifying the movement and made some progress in popularizing it. Enthusiastic public meetings which drew thousands of Jews were held following the Balfour Declaration in 1917, and similar gatherings took place when Chaim Weizmann and the Zionist Commission came through Egypt the following year. Between the two world wars, many Jews in Egypt still had reservations about Zionism, but they took it more seriously than formerly. This was due in part to the rising tensions between Jews and Arabs in Palestine during the events of 1921 and 1929, and the riots of 1936 to 1939, but also to the rise of antisemitism in Germany during the 1930s. The many articles in the Egyptian Jewish press condemning the Nazi regime, written both by Zionists and by non-Zionists, indicated a growing interest in world Jewish concerns. The question of Zionism was frequently debated at community meetings and was considered increasingly relevant by the middle class and the poor. Some of the wealthy also joined in, most notably members of the Mosseri family. Zionist activity took the form of publications, lectures, cultural programs, assistance to Jewish refugees, and fund-raising for Zionist organizations and causes. La Revue Sioniste, the organ of the Zionist Federation in Egypt, appeared from 1918 to 1924, and Israël from 1920 to 1939. Other publications were comparatively short-lived. During World War II, the rise of Egyptian nationalism and of extremist Islam, together with the seeming unstoppable advance of the German army in North Africa, gave a major impetus to Zionist sentiment and recruiting. Egypt was flooded with Allied troops. Jewish soldiers serving in the Allied forces visited schools, taught Hebrew, and organized Egypt’s first Zionist youth movements. Palestinian Jewish emissaries sent by the Yishuv’s competing political parties arrived in 1943 and set up pioneering movements in Cairo, Alexandria, and Port-Said. Hundreds of young people aged ten to twenty-six, both boys and girls, joined the new organizations, which had a decisive role in promoting the Zionist cause. The members of the youth groups received ideological training and in some instances were helped to leave for Palestine, often without the knowledge of the authorities. Over time, others followed them. No less significantly, Léon Castro, a lawyer and journalist (born in Izmir in 1884) was elected to head all of Egypt’s Zionist groups and in 1945 organized the first all-Egypt Zionist Congress in Alexandria. These activities continued with tacit official permission until the United Nations partition decision of November 29, 1947, authorizing a Jewish state in part of Palestine, Large-scale rioting ensued (see Egyptian Riots [1945, 1948]). In May 1948, during the Arab-Israeli War, the government banned Zionism and open Zionist activity ceased completely. The offices of the Jewish Agency closed and almost all of the Palestinian emissaries left the country. Strict anti-Jewish measures were imposed, and Zionist activists and youth pioneers were arrested in Cairo and Alexandria, although Zionism in Egypt had never engaged in subversive activities. Intelligence agents from Israel continued to operate underground in Cairo and helped a number of young people to make their way to Israel. On November 20, 1956, some years after all open Zionist activity had ceased, President Nasser passed a law depriving suspected Zionists of their Egyptian citizenship. From the time of the Babylonian Exile in the sixth century B.C.E., the Jews of Iraq never broke their connection to the Land of Israel. Even during the nineteenth and twentieth centuries, they continued to preserve their ties to Zion and to wait impatiently for redemption. Rabbinical emissaries (sing. shadar or meshullaḥ) from the Holy Land visited Iraq frequently and raised funds for religious institutions in the four holy cities (Jerusalem, Hebron, Safed, and Tiberias). Jews from Iraq bequeathed their fortunes to the Jewish settlement in the Land of Israel. Likewise, immigration from Iraq to the Land of Israel never ceased; individuals and groups continued to make ʿaliya to the Land of Israel in order to visit the holy sites, prostrate themselves at the graves of the righteous, and settle there. During the second half of the nineteenth century, thanks to newspapers and periodicals published by the Hebrew press in Europe and Palestine, the Jews of Iraq began learn about events elsewhere in the Jewish world, and most especially about the Zionist movement and the establishment of the World Zionist Organization (WZO). Modern Zionist activities in Iraq began in Baghdadaround 1898 under the direction of Aaron Sasson ben Elijah Naḥum (ca. 1872–1962), known as ha-more (the teacher). However, it was not until early in 1913 that Iraqi Jews began to make contact with the WZO. At that time, Jews in Basraand Baghdad requested information from the Zionist movement and began sending donations to the national funds. The Basra Zionists opened a modern Hebrew-language school at the end of 1913. The school was immediately successful and had nearly two hundred pupils registered. These ties ceased when the Ottoman authorities prohibited Zionist activities at the outset of World War I.
Zionist activities resumed after the war and the British occupation of Iraq. Iraqi Zionists encouraged ʿaliya, collected contributions for the Jewish National Fund (JNF) and the Keren Hayesod, sold the shekel that represented membership dues in the Zionist Organization , distributed Ha-ʿOlam (The World), the official organ of the WZO, and purchased land in Palestine. All of this ceased in 1935 when the Iraqi government, like its Ottoman predecessor, prohibited Zionist activities. The first announcement of intent to establish a Zionist organization in Iraq was made by Aaron Sasson in a letter he sent from Baghdad in April 1919 to the Council of Delegates (Vaʿad ha-Ṣirim) in Jaffa (Yafo). The aim of the proposed association was to encourage study of Hebrew and emigration to Palestine. Two years later, in 1921, Sasson founded the Mesopotamian Zionist Committee (Heb. ha-Aguda-Ṣiyyonit le-Aram Naharayim; Ar. al-Jamʿiyya al-Ṣahyūniyya li-Bilād al-Rāfidayn) with the permission of the British authorities. Under the July 1922 Law of Organizations, however, the Iraqi authorities refused to renew the society’s permit, but it continued to operate without official sanction until January 1935, when Sasson was forced to leave Iraq. He went to Palestine and settled in Jerusalem. Other Zionist organizations in Iraq during this period were also unable to function openly and ceased operations after a short while. Despite this setback, the Zionist youth organizations that came into being in Baghdad during the 1930s thrived with the assistance of Palestinian teachers in the country’s Jewish schools. Abraham Rozen, who taught in the Shammash High School for Boys in Baghdad, particularly stands out. In 1929 he organized the Aḥiʿever Association, which promoted the Hebrew language, maintained a Hebrew library, and published a newsletter in Hebrew. It also raised money for the Jewish National Fund and prepared young people for a life of productive work in the Land of Israel. Members of Aḥiʿever who emigrated to Israel established labor groups in Reḥovot (1933) and Raʿananna (1934) in order to fulfill the pioneering ideals of manual labor. In addition to Baghdad, there were Zionist groups and activities in Basra, Amarah, Hilla, Khanaqin, Kirkuk, and Arbil. These too focused on the Hebrew language and fund-raising. The development of Zionist organizations in Iraq from 1919 to 1935 was dependent not only upon the political situation, but also on the ability of the organizations to meet the challenge of enabling the Jews of Iraq to realize their desire to settle in Palestine. Early in the 1920s, Iraqi Zionists formulated an ideological position that was influenced both by developments in European Jewish national thinking and by the traditional heritage that continued to guide the Iraqi Jewish community even after the economic and cultural changes it underwent at the end of the nineteenth century and in the early decades of the twentieth. According to this perception, Iraqi Zionists saw Zionism first and foremost as a return to Zion, the historic homeland of the Jewish people, in order to rebuild its ruins and establish a new Jewish national-political entity. Zionists in Iraq had no patience for ideological debates about the direction of the Zionist movement; unity was what was most important in their view, and ideological questions and organizational differences were to be put off until the achievement of the acclaimed goal of fulfilling the Zionist objective. Until then, it was essential to give full and unrestrained fidelity to the leaders of the Zionist movement. From the instructions the Iraqi Zionists sent their representative at the Twelfth Zionist Congress (1921), it seems reasonable to infer that emigration to Palestine was, for them, a near reality. They called upon the WZO to facilitate this goal by creating suitable conditions for absorbing immigrants and by providing for the security of the Jewish settlement in Palestine, the Yishuv, by creating a defense organization. They further called upon the movement to claim the entire Land of Israel on the strength of the historic rights of the Jewish people, and to demand that the British take forceful action to convince the Palestinian Arabs that they would never obtain any part of the Land of Israel by means of armed struggle. Following this line of thinking, Iraqi Zionists took steps to increase immigration and to purchase land in Palestine even without official assistance from the Zionist movement. The idea of Iraqi Jews joining the WZO and supporting the national funds strongly influenced the movement’s responses to these demands. In the 1920s, with the rise in immigration and in land purchases, Iraqi Jews contributed a high percentage to the national funds in proportion to the size of the community. For example, for Keren Hayesod and the JNF alone, Iraqi Jews contributed the substantial sum of ₤ 52,220 sterling. (The lion’s share of this was donated by one single individual, Ezra Sassson Suheik.) Some of this money went into the founding of the town of Kfar Yeḥezqeʾel and the Kadoorie Agricultural High School, both in northern Palestine. However, with the crisis of immigration and absorption during the mid-1920s, the Jews of Iraq reduced their support for the WZO and instead concentrated on independent ʿaliya activity, land purchases, and settling in Palestine. After an interval of seven years from 1935 to 1942, Zionist activity in Iraq resumed—but this time as an underground movement. The riots of June 1–2, 1941, known as the Farhūd , were the immediate impetus for the renewed effort. However, the change in the WZO’s immigration policies and its call for Jews from the lands of Islam to come to Palestine, combined with the disruption of ties with the Jews of Europe during the Second World War and the need to facilitate the immigration of East European Jews waiting on the border between the Soviet Union and Iran, were also contributory factors. The institutions of the Zionist movement suddenly became willing to send emissaries (sing. shaliaḥ) to Iraq and to allocate resources to Zionist activity there. Shaul Avigur (1899–1978), the head of the clandestine immigration organization (Heb. Mosad le-ʿAliya Bet), arrived in Baghdad during March 1942 to make contact with the Jewish community. Upon his return to Palestine, Shmaryahu Gutman (1909–1996), Ezra Kadouri (1914–2000), and Enzo Sereni (1905–1944) were sent to Iraq in April 1942 to launch the underground Pioneer (Hehalutz) movement (Tenuʿat he-Ḥaluṣ, often called ha-Tenuʿa, the Movement) to prepare Iraqi Jews for absorption and bring them to Israel. The three emissaries began by organizing the Pioneer movement’s first cells with recruits who were former members of Aḥiʿever. In addition, the Aḥiʿever library, which had moved underground with the cessation of the organization during the mid-1930s, now resumed its activities. The Pioneer organizational framework included a shaliaḥ, who stood at the head of the movement, a council (or central secretariat or center), and a national secretariat. Alongside these bodies, which coordinated the organization’s activities and determined its policies were the branch committee (vaʿadat ha-snifim), the organization committee (vaʿadat ha-irgun), the membership committee (vaʿadat ḥaverut), and the JNF committee (vaʿadat ha-qeren ha-qayyemet). The movement operated through three arms: education (ḥinnukh), defense (hagana), and illegal immigration (haʿpala). The membershipof the Pioneer movement consisted of youths between the ages of seventeen and twenty-three, mostly educated and from the middle class. The first members assembled for the movement’s foundational conference during Passover of 1943. On Shavuʿot of 1943, the members of the defense wing were sworn in while holding a pistol and a Bible in a ceremony conducted in a darkened room. Within a year, the membership numbered two hundred young people of both genders. By the end of 1944, the Young Pioneer (he-Ḥaluṣ ha-Ṣaʿir), a similar organization, was being organized for adolescents of both genders between the ages of fourteen and seventeen. Membership in the Pioneer movement only increased with time; it reached seven hundred by May 1945, over a thousand in September 1945, and around 1,650 members and a hundred counselors by 1949. Further growth accompanied the founding of branches in twenty Jewish communities throughout Iraq (1947). The movement’s educational activities included teaching Hebrew, instilling the culture of Zionism and the Yishuv through songs, trips, and parties, raising Jewish consciousness, and inculcating the Zionist idea. The emissaries were aided in all this by Palestinian Jewish soldiers in the British Army who were stationed in Iraq during the war. The Hebrew language was taught with textbooks brought from Palestine and the Zionist message was transmitted through lectures. Occupational and agricultural training prepared the members for a life of productive work. The Hagana (also called ha-shura, the line) was managed by the shaliaḥ or by a committee. It was a part of the Pioneer movement until 1945, but then broke off to become an independent body. Its leadership instituted strict criteria for selecting new members. Each new inductee underwent a swearing-in ceremony upon acceptance. The Hagana organization focused on preparations for self-defense in the event of riots, encouraging the Jews to purchase weapons and practice using them. It made plans for defending the Jewish large concentrations in Baghdad, Basra, and Kirkuk. Pistols, hand grenades, submachine guns, and Molotov cocktails were smuggled in from Palestine and purchased in Iraq. Weapons were hidden in hiding places (seliqim) in the homes of Hagana members. On the eve of the establishment of the State of Israel in May 1948, Hagana had around 350 members. They stood ready to defend the Jews of Iraq in the event of riots, but the Iraqi government’s imposition of emergency rule prevented any possibility of riots and anti-Jewish harassment. Illegal immigrationfrom Iraq to Palestine began soon after the establishment of the Pioneer movement. It was organized by the immigration emissary and individual members of the movement. They hired smugglers, prepared the candidates for ʿaliya, conveyed them to the smuggler, and followed after them until their arrival at their destination. They also paid the smuggler’s fee and punished any who did not fulfill their obligations. Haʿpala was fraught with danger: immigrants captured by the Iraqi authorities were sentenced to fines or imprisonment, some were robbed and even murdered, and there were other disastrous incidents as well. Despite the difficulties, however, the flow of emigration did not stop, and actually rose, with the passage of time, reaching its peak between 1949 and 1950, when a route through Iran became possible. So many people were sneaking across the Iranian border that the Iraqi government decided to permit Jews to leave the country on the condition of giving up their Iraqi citizenship. The publication of the law to this effect in the government’s official organ on March 9, 1950 signaled the opening of the gates for Jews to leave the country. Many willingly gave up their citizenship and registered for immigration. The Pioneer movement organized everything under the supervision of the immigration shaliaḥ Mordechai Ben-Porat(b. 1923) by means of secret wireless communication with Israel. The mass movement was facilitated by Pioneer members posing as officials of the Jewish community who worked together with government officials and the Iraqi secret police. This, in fact, was apparently the factor that brought on the tragic end of the Pioneer movement. In June 1951, the Iraqis imprisoned the emissaries Mordechai Ben-Porat and Yehuda Tager, as well as numerous members of the movement and the Hagana. As a result of some mistakes the movement had made, plus information obtained from detainees under torture, the authorities uncovered an Israeli spy network in Baghdad, headed by Yehuda Tager, as well as the secret caches of Hagana weapons and other Pioneer materials. Ben-Porat managed to escape and made it to Israel. Some of the members who were arrested were sentenced to terms of imprisonment. Two of them, Shalom Ṣāliḥ Shalom and the lawyer Yosef Ibrāhīm Baṣrī, were hanged on false charges of bomb-throwing. This episode put an end to the underground Pioneer movement in Iraq after it brought the majority of the Jews of Iraq to Israel. During its period of illegal operations (until 1950), it sent ten thousand immigrants. In the legal immigration of Operation Ezra and Nehemia (popularly referred to as Operation Ali Baba) from 1950 to 1952, over 110,000 Iraqi immigrants reached the State of Israel. Another eight thousand, who held Iranian citizenship, traveled from Iraq to Iran and were flown from there to Israel. Around nine thousand preferred not to relinquish their citizenship and remained in Iraq. Proto-Zionist sentiments of the traditional Love of Zion (Heb. ḥibbat ṣiyyon) existed among Jews in the Maghreb, as elsewhere in the Islamic world, for centuries prior to the rise of modern Zionism. The rabbinical emissaries (Heb. sheluḥe de-rabbanan or shadarim) who made the rounds collecting contributions for charitable institutions in the four holy cities of Jerusalem, Hebron, Safed, and Tiberias were important agents of communication linking Maghrebi Jews with their brethren in Palestine. The connection went beyond charitable giving. There was a long-established tradition of ʿaliya(lit. ascent), or immigration to the Land of Israel, among North African Jews. This premodern ʿaliya was a matter of individual piety, not a group phenomenon. There are numerous examples in Maghrebi responsa literature dealing with the religious duty (Heb. miṣva) to settle the ancestral Holy Land. These include cases of wives who did not wish to emigrate with their husbands because of the dangers of the journey. In the seventeenth and early eighteenth centuries, rabbinical authorities tended to take the wife’s side and required the husband to pay her the money stipulated in her marriage contract (Heb. ketubba), whereas from the late eighteenth century on, some rabbis began to reject the wife’s argument of danger and permitted the husband to divorce her without payment. The first half of the nineteenth century saw a dramatic increase in Maghrebi immigration to Palestine. In a number of towns, most notably Jerusalem, Haifa, and Jaffa (Yafo), North African Jews began to constitute a sizable, distinctive community, known as the moghrabim or ha-ʿeda ha-maʿaravit. Although the primary impulse for this ʿaliya had its foundations in religious messianism, most of these settlers earned their livelihoods through commerce, crafts, and manual labor and were not engaged exclusively in prayer and study, living off the ḥaluqqa (the dole funded by contributions from Jews abroad). This was in marked contrast to the majority of Ashkenazi immigrants prior to the arrival of European Zionist pioneers as of the late nineteenth century. The first stirrings of modern Zionism in the Maghreb took place just as the official movement was coming into existence in Europe. Marco Barukh (1872–1899), a young Turkish Jew who had become involved with the Zionist student movement Kadima in Vienna, came to Algeria in 1894 to promote Jewish nationalism and established a short-lived Zionist journal, Le Juge, but in 1895 the French authorities made him leave the country. Whatever Barukh’s impact may have been, two years later, in 1897, an Algerian Jew attended the First Zionist Congress in Basle, and that same year a Jewish youth organization in Constantine sent a strong letter of support to Theodor Herzl. By 1900, there was a Zionist organization in Constantine, which had the most traditional and least assimilationist Jewish community of any major Algerian city. Most of Algerian Jewry, having been granted French citizenship by the Crémieux Decree in 1870, identified strongly with France; set upon a course of assimilation, they remained relatively impervious to Zionism. As late as 1919, fewer than four hundred Algerian members were registered with the French Zionist Federation. In contrast to Algeria, Moroccan, Tunisian, and Libyan Jews were still deeply rooted in tradition, and word of the Zionist movement’s birth in Europe kindled their spiritual yearning for national redemption. For the next half-century, there was a definite religious coloration to their Zionism, right up to the mass exodus from these countries following the establishment of the State of Israel. Unofficial groups were in existence in Tunisia and Morocco around the time the Zionist movement was founded in Europe. Zionist Youth, a group in Tunis, sent greetings to the First Congress, and greetings were sent to the Second Congress the following year from “Tunisian Zionists” and “the Zionist Group” of Mogador (Essaouira) in Morocco. Nothing is known about these groups beyond their messages of support. In 1900, two formally organized Zionist associations appeared independently of one another in the cities of Mogador and Tetouan, both of which, as seaports, were in direct contact with Europe. The driving figure in Mogador was Moses Logasy, who had become a merchant in Manchester and returned to his hometown to sell shares in the Jewish Colonial Trust. His activities gained broad support and led to the establishment of the Shaʿare Ṣiyyon Society, headed by the leading merchants David Bohbot and Samuel Bendahan, and the community’s rabbi, Jacob Ifargan. Within six months, the society sold over two hundred shekels, entitling it to send two representatives to the Fifth Zionist Congress. However, like all the early Maghrebi Zionist associations, it did not take advantage of this privilege or participate in the political life of the World Zionist Organization (WZO) due to a reverent, messianic attitude that regarded the WZO as carrying out a divine mission that was beyond question or criticism. It was only after the Second World War that Moroccan Zionists felt the necessity to be represented at Zionist Congresses. In Tetouan, the Shivat Ṣiyyon Society was founded at the initiative of a Dr. Berliawsky, a Russian-born physician, and was presided over by a native, Leon Jalfon. The society was short-lived, but established a Hebrew library. Other Moroccan Zionist groups appeared shortly thereafter, including the Ahavat Ṣiyyon Society in Safi in 1903, which sent a formal Hebrew letter to Herzl, addressing him as “Lover of His People, Glory of His Nation” and even “God’s [chosen] President” (Central Zionist Archives Z 1/343; trans. in Stillman, Jews of Arab Lands in Modern Times, pp. 312–313). The first Zionist association, the Ḥibbat Ṣiyyon Society, was founded in the interior city of Fez in 1908 by twenty leading rabbis and notables. The following year the society expanded to the nearby towns of Meknes and Sefrou, where it was joined by members of the rabbinical and mercantile elite. The founders of Ḥibbat Ṣiyyon, disappointed to learn that the WZO could not extend its protection to them, turned to the Alliance Israélite Universelle for patronage. Organized Zionist activity in Morocco lost much of its momentum after the early outburst of enthusiasm, but was revived and reorganized following the First World War despite the hostility of the AIU and the obstacles created by the French government, which viewed the Zionist movement as an ally of its British imperial rivals. Zionist groups sprung up in Tunisian towns around the same time as in Morocco. The first Zionist association appeared in Sousse at the turn of the century, founded by the local rabbi. The Jewish press, which had no parallel in Morocco, spread clear, systematic information about the Zionist idea from 1906 on. Two of the most prolific writers of articles on Zionism were the lawyer Alfred Valensi in French and the educator Joseph Brami in Judeo-Arabic. In 1910, Rabbi Jacob Boccara (Abū Qurā) was the first Tunisian delegate to attend a Zionist Congress. He attended again the following year, but this time accompanied by a full delegation. Together with Valensi, he founded the first major Zionist association in Tunis, the Agudat Ṣiyyon Societyin 1910. Four years later, in 1914, together with a lawyers’ group and other leading members of the Jewish community, he founded the Yoshevet Ṣiyyon Society. Rabbi Hai Haggege established the Bene Ṣiyyon Society in Beja in 1913. That same year Brami launched the Judeo-Arabic monthly Kol Ṣiyyon (La Voix Juive), the first journal to style itself as a Zionist organ. Another expressly Zionist paper, La Voix d’Israël , appeared in 1920 in French and added a Judeo-Arabic edition in 1921. In neither Algeria nor Morocco was there ever anything approaching the number of Jewish, much less Zionist journals that were published in Tunisia. It was not until 1926 that Morocco had a major Zionist organ, the monthly (and later bi-weekly) magazine L’Avenir Illustré , which achieved a wide readership throughout Morocco and North Africa and continued publishing until 1940. There was some awareness of the Zionist movement in the principal towns of Libya among a small group of individuals who had some modern education and contacts with Europe. A few Jews in Tripoli and Benghazi corresponded with the WZO at the beginning of the twentieth century and apparently distributed some literature, but there were no Zionist organizations as such. In 1912, the first Zionist association, Ora ve-Simḥa, was founded by a group of young people led by Elia Nhaisi, the local correspondent for the Italian Jewish weekly La Settimana Israelitica. They ran into opposition from the wealthy pro-Italian elite that dominated Jewish communal affairs in Tripoli, where the great majority of Libyan Jews resided. The young Zionists channeled their energies into educational and cultural activities, including evening Hebrew classes. They opposed the assimilationism of the elite even though they were themselves largely Italian educated. In their view, a Jewish cultural revival and adherence to religious tradition were required for national restoration. They disseminated their ideas in the Italian Jewish press which circulated in Libya, and they garnered considerable support from readers in Italy and from the editorial boards of such papers as La Settimana Israelitica, Il Vessillo Israelitico, and Israel. In 1917, Nhaisi and his friends formed the Circolo Sion, which in addition to being a Zionist association was the opposition party to the Tripolitanian Jewish community’s governing faction. Circolo Sion candidates ran for the Communal Council as reformers representing the Jewish masses. Their anti-assimilationist and anti-secularist program won the staunch endorsement of Libya’s rabbis. At the end of the First World War, Zionism began to gain considerable popularity in Libya. The Balfour Declaration, the San Remo Conference establishing the British Mandate in Palestine, and the stirring of Arab nationalist sentiments in Libya itself were all contributory factors. The Circolo Sion’s biweekly Judeo-Arabic newspaper Deghel Sion, which appeared from 1920 to 1924, brought the association’s ideas before a wider audience and sparked interest in ʿaliya. By 1921, Zionists held a majority of seats on the Communal Council prompting their assimilationist opponents to form a counter-organization, Associazione Concordia e Progresso, which published the weekly journal Hitʾorerut from 1922 to 1924. The two opposing sides eventually worked out a modus vivendi, and Concordia e Progresso began to espouse a philanthropic form of Zionism. Through the mediation of the Sephardi intellectual Abraham Elmaleh, the local representative of the Jewish National Fund, the various communal factions and Zionist organizations united in 1923 in the Organizzazione Sionistica della Tripolitania. Henceforth, all the factions in the Jewish community, including those that had initially opposed the movement, were at least nominally Zionist. The end of World War I witnessed an outburst of enthusiasm for Zionism in the Maghreb. In Tunis, Jews marched through the streets waving the Zionist banner in noisy demonstrations, and several hundred Jewish families, moved by a semi-messianic fervor, emigrated from Morocco to Palestine between 1919 and 1923. Zionist speakers like Abraham Elmaleh drew large audiences in Tunis and Casablanca. Jewish youth and scouting organizations such as the Union Universelle de la Jeunesse Juive (UUJJ) and the Eclaireurs Israélites de France (EIF) had strongly Zionist leanings. But the initial ardor soon died down considerably. In part this was because the French authorities were wary of Zionism and of all political activity among the native population. This was particularly true in Morocco, where as of 1919 they blocked attempts to create a Moroccan Zionist Organization, and for a while in the mid-1920s banned the Zionist newspaper Ha-Olam from the protectorate. Between 1923 and 1924, Jonathan Thursz, who had recently immigrated to Morocco, succeeded in establishing the Moroccan Section of the Zionist Federation of France (Fédération Sioniste de France/Section du Maroc) in Casablanca on the same model as the Federación Sionista Ibero-Marroquí, established in the Spanish Zone in 1921. The French authorities tolerated, but gave no official recognition to, Thursz’s activities, which included publication of his magazine L’Avenir Illustré, which though pro-Zionist was not officially so, and studiously maintained a highly respectful tone with regard to the protectorate and France. Another Polish-born Jew, Augustine Anshel Perl, published an unofficial pro-Zionist paper, Renaciamento de Israel, for Jews in the Spanish protectorate and the International Zone of Tangier. Because the Spanish were less hostile than the French to Zionism, and because Tangier was under a consortium and not any single country’s colonial rule, Perl was able to be far more outspoken and militant in expressing his views than Thursz could be in his magazine. Another factor inhibited the growth of the Zionist movement in the Maghreb during the interwar period. Prior to the Second World War, the WZO never placed a high priority upon activities there— or in any Arab country for that matter. From the earliest days of the movement, complaints about lack of communication from the Zionist Executive were legion. In a confidential report filed from Tunis in the late 1920s, a visiting observer notes that even the dues-paying Zionists there “feel themselves in the position of lost sheep, about whom the shepherd does not care a jot” (CZA Z 4/3262, in Stillman, Jews of Arab Lands in Modern Times, pp. 322–323). There was also considerable opposition to Zionism from the very influential Alliance Israélite Universelle. School directors forbade students to belong to Zionist groups. Pro-Alliance publications such as L’Union Marocaine challenged the Zionist outlook. AIU personnel attended lectures by emissaries of the Jewish National Fund, the Jewish Foundation Fund, and other Zionist organizations, not only to monitor them, but to challenge and refute the ideas the speakers presented. Nevertheless, it was among the modern, educated, urban Jews, many of whom were products of the AIU school system, that Zionism found its most sympathetic audience. This is not entirely paradoxical, since the Alliance fostered a sense of universal Jewish solidarity despite its Diaspora-centrism. Some AIU schools taught modern Hebrew. Moreover, the AIU proudly touted its own work in Palestine and in particular the achievements of its venerable agricultural school in Jaffa (see Mikve Israel Agricultural School). Unlike the Middle East, where Arab nationalism was a rising and very threatening force, and the conflict in Palestine between Arabs and Jews was geographically close by, in North Africa Arab nationalism was still not a force to be reckoned with. Some Tunisian and Moroccan Jews identified with their coreligionists in Palestine and with Zionism, others were strongly pro-French, and many held both positions at once. In Tunisia, Félix Allouche’s Revisionist paper Le Reveil Juif traded heated polemics with Chedly Khaïrallah’s Arab nationalist La Voix du Tunisien. In Morocco, editorial exchanges between pro-Zionist and Moroccan nationalist papers were more civil. In an article entitled “The Jews and Us” in the nationalist weekly L’Action du Peuple, Mohamed El Kholti showed a certain understanding for how Jews felt, but called upon them to join in the Moroccan national cause. In an editorial response, L’Avenir Illustré (March 31–April 8, 1934) invited the nationalists to close ranks with Moroccan Zionists to work for the betterment of Morocco, following the example set by the Jewish pioneers in Palestine, an idea angrily rejected by El Kholti in an article entitled “The Zionists in Morocco on the Defensive” (April 27, 1934; trans. in Stillman, Jews of Arab Lands in Modern Times, pp. 348–349). In Tangier, parades by the Exploradores (Jewish scouts) carrying Zionist and French banners aroused the ire of Moroccan nationalists and led to anti-Jewish demonstrations in 1934 and 1936. The Junta (Jewish communal council) was so concerned that it considered disbanding the scouts and decided to postpone the establishment of a Hakoah football club. The Second World War, the fall of France, and the establishment of the Vichy regime resulted in an almost total cessation of Zionist activity in the French Maghreb. It had already ceased before the war in Fascist-ruled Libya, but it resumed there even before the war ended when the British occupied Libya in 1943. Jewish soldiers in the British Eighth Army, among them Palestinians from the Yishuv, established a network of Hebrew schools and ad hoc classes in Jewish and Zionist history, at first with the approval of the military authorities and later without it. The Zionist-oriented Ben Yehuda and Maccabi clubs reopened at this time as well. Zionist activity recommenced in the three French colonial possessions following Operation Torch and the Allied occupation. Unlike before the war, Zionist activity was no longer primarily philanthropic, but instead tried to create “new Jews” who would realize (Heb. magshimim) the Zionist dream. The new emphasis on a pioneering Zionism(ṣiyyonut ḥaluṣit) held great appeal for young people. The local Zionist organizations, such as the Tunisian socialist Tseïrei Tsion (Young People of Zion), took on renewed life and established branches throughout North Africa under the tutelage of emissaries (sheliḥim) from Palestine. Newspapers and journals with a strongly Zionist orientation reappeared. In Morocco, L’Avenir Illustré, which had closed in 1940, was replaced in 1945 by Noʿar (Youth), the bulletin of the Charles Netter Jewish Youth Association. In Tunisia, La Gazette d’Israël, which had ceased publication in 1939, reopened in 1945. In marked contrast to Tunisia and Morocco, there was only minimal interest in active Zionism in Algeria. Even by the late 1950s, the various Zionist youth movements, such as Dror, Hashomer Hatsaïr, Gordonia, and Bne Akiva, together with the French Jewish Scouts (Eclaireurs Israélites de France) attracted only somewhat over two thousand young people. Algerian Zionist journals such as Hagshem (Realize!) and Bamaavak (In the Struggle) did not appear until 1950 and were short-lived mimeographed publications with very limited circulation. Zionist periodicals from neighboring Tunisia and from Metropolitan France did circulate in Algeria, however, during the 1940s. The bimonthly Information Juive, which was founded by Jacques Lazarus and became one of the two major Jewish periodicals in Algeria, had a moderately pro-Zionist orientation. In addition to cultural programs and ideological indoctrination, the Zionist organizations trained youths who were deemed mentally and physically fit in self-defense and the use of weapons. Emissaries from the United Kibbutz Movement in Palestine, Yigal Cohen and Ephraim Friedman, had the young trainees swear allegiance to the Hagana, the mainstream paramilitary organization of the Yishuv, while their counterparts from the Revisionist movement, like Itzhak Tuviana, got the trainees to swear allegiance to the Irgun. Due to the trauma of the wartime experience and the anti-Jewish violence that had erupted in Syria, Egypt, and neighboring Libya in 1945 (see Cairo Riots; Tripolitania Riots), a number of senior figures in the Jewish communal leadership of North Africa, such as Paul Ghez and Léopold Baretvas in Tunisia, Élie Gozlan and André Narboni in Algeria, and Samuel Daniel Lévy and Paul Calamaro in Morocco, supported such efforts even though they were illegal. In some instances, it was these veteran leaders who asked the Palestinians to train the local youth. Because Algeria was considered a part of France and not a colonial territory, it was easier to conduct training there, and in 1946 a central Hagana training camp for youth from all three countries of the French Maghreb was established near Rovigo (present-day Bougara), 20 kilometers (12.5 miles) south of Algiers. Youths chosen for advanced training were sent to a camp in France outside Lyons. The colonial authorities kept these activities under surveillance, but did not interfere with them until 1948, being more concerned with tamping down the Muslim nationalism that had been greatly aroused by the wartime experience. The rising tension between Jews and Arabs in Palestine in 1947 and 1948 had profound repercussions for the course of Zionism in the North Africa. Jewish sympathies for the Zionist cause were rising to new heights most everywhere, but so too were Arab and Muslim sympathies for their Palestinian brethren. With open conflict between the two sides in Palestine approaching, and with the British mandatory authorities severely restricting entry into the country, the Zionists sought to bring in young, able-bodied North Africa Jews through clandestine immigration, the so-called Aliya Bet. Three ships with clandestine immigrants sailed from Algeria for Palestine in 1947: the Judah ha-Levi, with four hundred passengers left on May 10, but was captured by the British when it reached Haifa on May 31, and its passengers were sent to detention camps in Cyprus. The same fate befell the second ship, the Shivat Ṣiyyon, carrying 411 clandestine immigrants, among whom were 125 infants and small children traveling with their families, when it reached Haifa on July 28. The third ship, He-Ḥaluṣ, was almost captured by the French and had to depart with only forty-four of the hundreds of immigrants who were registered for the voyage. However, it eluded both the French and later the British and successfully disembarked its passengers off the coast of Tel Aviv on December 4. In addition to the passengers on these three ships, Maghrebi Jews, mostly from Morocco, who made it to Algiers, were allowed to sail to Marseilles and thence to Palestine, and after May 1948 to Israel. In the year leading up to Israeli independence, some fifteen hundred individuals made ʿaliya in this way. But between April 1948 and December of that year, the number reached nine thousand. The violent attacks on Jews in Oujda and Jeradaon June 7 and 8, 1948 (see Oujda - Jerrada riots), the worst acts of anti-Jewish violence since the Constantine Riots of 1934, sent shock waves through North African Jewry. They were compared in Zionist publications to the Fez Riots and massacres of 1912. La Terre Retrouvée, the monthly organ of the French and North African branch of the Jewish National Fund (Keren Kayemeth), in an issue that was banned in Morocco, observed that the Oujda pogrom highlighted the precariousness of Jewish existence in that country. Fear about the future and a spirit of semi-messianic enthusiasm led to the first significant wave of ʿaliya from the French Maghreb. The majority of the émigrés were not attracted by the ideology of modern political Zionism. Most of the Moroccans, unlike the Tunisians and Algerians, were, in fact, shocked by the factional rivalries among the emissaries from the various Zionist movements. Between 1948 and 1951, 11,640 Jews from Tunisia (11 percent of the total Jewish population), 24,730 from Morocco (16 percent of the population in the French Zone), and only between 1,000 and 3,525 from Algeria (between 1.0 and 2.5 percent) immigrated to Israel. The majority of the Algerians who went on ʿaliya in this first wave were committed Zionist activists. So too were a considerable number of the Tunisian émigrés. The Zionist movement in Tunisia was not only long established and relatively strong, but reflected the political, ideological, and religious divisions within Israel. There were, to be sure, active Zionists among the Moroccans as well. However, for many of the émigrés—perhaps for most—the chief motivating factor was the religious enthusiasm evoked by the events in their ancestral homeland and by Zionist propaganda in the mellahs and villages of the bled (the Moroccan countryside), coupled with a desire to seek a better life for themselves and their families. Many were unemployed or underemployed petty and manual tradesmen hard hit by Morocco’s postwar economic crisis. Jews from the southern rural regions had been migrating to Casablanca and the cities of the north to escape the recurrent droughts. The swelling numbers of Moroccan Jews attempting to leave the country illegally were a great concern not only to the French authorities, but also to some of the highly placed, haute bourgeois Jewish communal leaders who feared that a mass exodus of their coreligionists might have negative repercussions and lead to retaliation either by the French or the Muslims. A few wealthy Jews even acted as informants to the French about attempts at illegal emigration. Muslim officials also voiced objections to the residency, noting that it was manifestly provocative for Jews to go Palestine to fight against Muslims. Even the Jewish Agency and the Israeli authorities were becoming concerned about the unregulated tide of immigration from Morocco. The new state was already overwhelmed with immigrants who were living in makeshift transit camps. At a meeting on March 7, 1949, Resident-General Alphonse Pierre Juin and Jacques Gershuni of the Jewish Agency reached an understanding whereby the Jewish Agency would be permitted to discretely take charge of an organized and orderly emigration from Morocco to Israel, thereby putting an end to the illegal and unorganized departure of Moroccan Jews, and in addition, the Agency would establish selection criteria based on social and medical factors. The following month the Cadima organizationopened an office in Casablanca. Registered as a social service and book-distribution agency, Cadima was in fact a Zionist entity in charge of the registration and processing of would-be émigrés and handling virtually the entire Moroccan ʿaliya. In the early 1950s, it had offices and representatives in all the major Jewish communities and operated a transit camp south of Casablanca for Jews from the bled. It effectively brought an end to the illegal emigration that had been considered such a problem by the protectorate authorities. By the time it was forced to close down following Moroccan independence in 1956, it had facilitated the emigration of more than seventy-five thousand people. The wave of North African immigration to Israel tapered off considerably after 1951. Between 1952 and 1954, only 19,475 Maghreb Jews made ʿaliya, half the number for the preceding two years. This was due to several factors. The new Jewish state was overwhelmed with immigrants and suffering from a housing shortage, unemployment, and severe economic difficulties that required the rationing of food and other basic commodities, and between 1948 and 1951, 3,130 North African immigrants, or about 8 percent of the total, left Israel. The great majority were Moroccans. At the same time that Israel was undergoing economic hardship, the Maghrebi countries, and particularly Morocco, were beginning to enjoy an economic upturn in the urban sectors. The establishment of American military bases outside Casablanca (Nouasseur), Rabat (Port Lyautey), Meknes (Sidi Slimane), and Marrakesh (Ben Guerier) contributed greatly to this upsurge. It was the biggest overseas construction project for U.S. Army Corps of Engineers since the excavation of the Panama Canal. Many Jews who had at least a minimal modern education and language skills found well-paying jobs at these bases or did lucrative business with them as suppliers, jobbers, and agents. There was yet another factor that contributed to the sharp decline in immigration to Israel from North Africa in the early 1950s, which had to do specifically with Israeli attitudes and policies at the time toward Mizraḥi Jews in general, and Moroccan Jews in particular, who made up over 60 percent of the North African immigrants. Tens of thousands of poor Moroccan Jews from the countryside and the overcrowded urban mellahs still wished to go to Israel despite reports of the economic hardships there. They were prevented from doing so by a new policy of selective immigration (Heb. seleqseya ) that placed severe restrictions upon poor Moroccan Jews who were unable to pay their own way, were not accompanied by a family breadwinner, or had a family member in need of medical care. Under the new policy, the Jewish Agency accepted for ʿaliya only families accompanied by a healthy breadwinner between the ages of eighteen and forty-five. Even families that had a breadwinner who was already in Israel could be turned away. Moreover, if one member of a family was handicapped or suffered from a serious illness, the entire family was rejected. Although the seleqṣiya policy, which had been the subject of much debate within Israeli administrative circles, was rescinded in 1953, it engendered considerable bitterness among Moroccan and other North African Jews (see also Israel, State of). With the easing of the selective immigration policy, ʿaliya from Morocco and Tunisia rose dramatically as those countries neared independence. Anxiety about the future under independent Arab governments was as much a factor in this as Zionist sentiment. Nearly twenty-five thousand Jews left Morocco for Israel in 1955, and more than thirty-six thousand in the first part of 1956. More than twelve thousand Tunisian Jews immigrated to Israel during the same two-year period. Open Zionist activity in Morocco and Tunisia ended following independence. However, there were still elements of modern Hebrew culture (language, songs) in Jewish schools and youth groups. The Zionist sentiments of many of the remaining Jews became stronger as the two countries joined the Arab League and increasingly identified with Arab nationalism. There was also underground Zionist activity. Agents of the Israeli Mosad le-Aliya Bet (Organization for Clandestine Immigration) were particularly active in Morocco and facilitated the departure of nearly eighteen thousand Jews between 1956 and 1960. The only serious official attempt to staunch the illegal exodus was between December 1958 and May 1960, when ʿAbd Allāh Ibrāhīm of the radical wing of the Istiqlāl Party was prime minister. Tunisia, by contrast, did not restrict Jewish emigration under the aegis of the Jewish Agency. Not long before his sudden death in February 1961, Mohammed V decided to reverse the policy banning Jewish emigration from Morocco. The decision was prompted in part by the negative international publicity generated by the drowning of forty-four clandestine émigrés on the boat Pisces, which went down just off the Mediterranean coast of Morocco on the night of January 10, 1961 (see Pisces Affair). Over the next three years, the new king, Hassan II, allowed the American HIAS to organization to discreetly assist seventy thousand more Moroccan Jews to leave the country, mostly for Israel. The 1960s marked the virtual end of Zionist activity in the Maghreb. In Algeria, where the movement was never very strong, only about five thousand Jews chose to go to Israel on the eve of Algerian independence in July 1962. Forerunners (often referred to as harbingers) of Jewish nationalism appeared in the Ottoman Empire during the nineteenth century well before the emergence of the Zionist movement. The two principal figures of this proto-Zionism were Judah Bibas (1780–1852) and Judah Alkalay (1798–1878). The former was born in Gibraltar and became rabbi in Corfu. Inspired by the Italian Risorgimento and the Greek revolt, he preached that Jews should return to their ancestral homeland and take it by force if necessary. He traveled through the Ottoman and Austro-Hungarian empires in 1839 and met Alkalay, the Bosnian-born rabbi of Zemun (Semlin), Serbia, and made a lasting impression upon him. Because of his prolific writing, it was Alkalay who became the best-known Sephardi harbinger of Zionism. Unlike Bibas, he came to his proto-Zionism through kabbalistic speculation rather than under the influence of modern nationalist notions. But his ideas evolved, and he popularized Bibas’s interpretation of the rabbinic idea that redemption would come when the Jewish nation made teshuva (i.e., repented). In Bibas’s and Alkalay’s theology, teshuva (lit. return [to God]) was reinterpreted to mean physical return to the Land of Israel. Alkalay traveled to England and Western Europe during the 1850s seeking support for his ideas, but with little success, but he continued publishing and preaching, and his religious Zionism became increasingly permeated with the nationalist sentiments circulating through Europe at the time. As he wrote in his essay Neḥamat ha-Areṣ (Consolation for the Land), published in 1866: “The spirit of the times demands freedom and liberty. . . . The spirit of the times requires all of the countries to establish their land and to raise up their language. Likewise, it requires of us to establish our living home and raise up our sacred language and revive it” (trans. in Stillman, p. 57). Following the Russian pogroms in 1881 and 1882, scores of Russian Jews immigrated to Palestine, and the idea of establishing a Jewish state became popular, especially among Bulgarian Jews. The Ottoman government imposed restrictions on Jewish entry into Palestine in 1882 and on land purchases in 1892, but these checks did not hinder Jewish immigration to the region because of loopholes in the system and intercession by foreign powers such as Germany and Russia. The first traces of Zionist activity in Ottoman lands date back to the 1880s, when several organizations advocating Jewish colonization of Palestine were formed in Bulgaria. Several newspapers that advocated elements of the Zionist program also appeared in Bulgaria—the most prominent of them were El Amigo del Puevlo (1888–1902), Evreyski Glas, and La Boz de Israel (1896–1897). With the First Zionist Congress (1897) in Basel, Zionism as a political ideology was firmly planted in the region. In 1898 and 1901, David Fresco, editor of El Tiempo, began a campaign against Zionism and its Bulgarian adherents. For their part, Bulgarian Zionists attacked the Alliance Israélite Universelle’s French-based curriculum and purportedly “assimilationist” and “anti-nationalist” activities, and expelled the AIU from almost all of Bulgaria. Shortly after publishing Der Judenstaat (1896), in which he called for the establishment of a Jewish homeland in Palestine, Theodor Herzl (1860–1904), a Hungarian Jewish journalist and the founder of political Zionism, made the first of five visits to Istanbul between then and 1902 to meet with Turkish officials. In 1901, he met personally with Sultan Abdülhamid II. In exchange for much-needed capital, he stressed that the Jewish homeland would be under the suzerainty of the Ottoman Empire. The Porte was adamantly opposed to Jewish settlement in Palestine, fearing the advent of another nationalist movement in the empire and increased foreign intervention. Nevertheless, there were about eighty thousand Jews living in Palestine in 1908—three times as many as in 1882. Their number included not just young pioneers from Eastern Europe, the so-called First ʿAliya, but several thousand Yemenite Jews who had begun to come in 1881 in a wave of messianic enthusiasm and also to escape the difficult conditions in their native country. Like the European pioneers, many of them were attracted to farming, and they joined with the European newcomers in self-defense organizations like the Shomrim (Watchmen) that guarded agricultural settlements. As a political ideology, Zionism was virtually unknown to Turkish Jews. It was considered a foreign paradigm until the Young Turk Revolution of 1908. Like Abdülhamid II, the Young Turk regime had an unfavorable view of Zionism but maintained a pragmatic relationship with the Zionists. As a result, the Zionist movement began to make some inroads after the revolution brought in liberal ideals and eased the censorship of the press. On the other hand, the majority of Turkish Jews, particularly the Sephardim, disassociated themselves from Zionism, arguing in favor of strong ties with the Ottoman Empire and the Turks. By and large, most of the Jews in Turkey who became Zionists were not separatists, and their primary goal of a Jewish cultural revival was not necessarily opposed by Ottoman officials and intellectuals. After the revolution, Dr. Victor Jacobson (1869-1935), a Zionist representative, arrived in Istanbul in 1908 to meet with influential personalities and spread the ideas of Zionism. With the help of Richard Lichtheim, Vladimir Jabotinsky, and Arthur Ruppin, Jacobson established a Zionist liaison office under the guise of the Anglo-Levantine Banking Company. He found a reasonably hospitable environment, and several pro-Zionist periodicals soon began publishing. These included Ha-Mevasser (Istanbul, 1909–1911) in Hebrew, Le Jeune Turc (Istanbul, 1908–1918, previously Courier d’Orient) in French, and later El Judio in Judeo-Spanish and L’Aurore (Istanbul, 1908–1919) in French. The Maccabi Club, a Zionist sports club in Balat, Istanbul, that had two thousand members before World War I, was especially effective in furthering the Zionist cause because of its ability to attract young people. The Maccabi Club’s affiliated Zionist society, Bnei Yisrael, was founded in Hasköy, and like Maccabi, it propagandized against the Alliance. The B'nai B'rith lodges in Istanbul, Izmir, and Edirne, opened in 1911, also worked to counter the AIU’s influence on Turkish Jewry. B’nai B’rith later became a organizational base for the Zionists, and Istanbul and Salonica became hubs of Zionist activity. Prominent Zionists such as David Ben-Gurion, Yitzhak Ben-Zvi, and Moshe Sharett were instrumental in spreading Zionist ideas. The chief adherents of Zionism in Turkey were Ashkenazim, especially those of German origin, and Sephardi youth who were discontent with the traditional leadership of the community. The Zionists set about expanding their base by targeting the community’s conservative elements and making contacts with traditional rabbis. Rabbi David Marcus, an Ashkenazi Jew and the local representative of theHilfsverein der Deutschen Juden, was instrumental in mobilizing rabbis against the chief rabbinate. The spread of Zionism led to an ongoing series of vitriolic quarrels between the pro-Zionist journal L’Aurore, subsidized by Jacobson and managed by Lucien Sciuto, and El Tiempo, subsidized by the Alliance Israélite Universelle, which began publication in 1909 and continued for almost two years. (The Alliance was openly tepid to Zionism and in private vehemently opposed it as representing the very opposite of its assimilationist ethos.) In 1909, L’Aurore began to openly criticize the Alliance schools for not providing adequate instruction in Hebrew. The chief rabbi of the empire, Haim Nahoum, himself an Allianciste, also became a target of Zionist attacks. In 1911, Isaac Fernandez, the president of the AIU regional committee in Istanbul, reported that 90 percent of the city’s youth were Zionists. That same year, several communal councils as well as the community’s administrative council (meclis-i cismani) had influential Zionist members—thanks to the effective use of the press and the organization of social clubs. In 1910, the creation of an Alliance alumni association in Istanbul, the Anciens Élèves de l’AIU, led to further conflict between the factions and produced two opposing Alliance alumni groups— Amicale for the Alliancistes and Agudat Crémieux (The Crémieux Union) for the Zionists. In order to weaken the Alliance, the Zionists supported its rival organizations, such as the Hilfsverein der Deutschen Juden. On the other hand, under the leadership of David Fresco, the anti-Zionists warned that the Zionist program for Palestine would ultimately hurt relations between Ottoman Jewry and the government. In the meantime, the growth of the Jewish population in Palestine led to the organization of anti-Zionist groups such as the Ottoman Patriotic Party, established by Palestinian Arabs in 1911. Following the discovery of the NILI (Neṣaḥ Yisraʾel Lo Yeshakker) spy ring, a pro-British intelligence organization in Palestine in 1915, the Ottoman government decided that the Zionists were a serious security threat and ordered mass deportations from Palestine. After a brief period of calm during World War I, the disputes between the Alliancistes and the Zionists resumed—but now even more forcefully as the Zionists were emboldened by the Balfour Declaration (1917). In 1918, they set up a Jewish National Council in Istanbul with plans to take over the communal councils. Alas, Palestine was no longer an Ottoman territory after the Mondros (Moudros) armistice agreement (1918). Undeterred, the Zionists founded the Federation Sioniste d’Orient in 1919 and recruited four thousand members in Istanbul. Moreover, the Maccabi Club and Hitʾaḥdut, two Zionist youth clubs, and the Federation Sioniste d’Orient’s organ La Nation continued to function. The movement gained strength as more Jews adhered to Zionism—leading eventually to Haim Nahoum’s resignation from the office of chief rabbi in 1920. However, with the proclamation of the Turkish Republic in 1923, all Zionist activities were prohibited and Zionism became an underground movement. Nonetheless the Palestine Bureau (1920), an agency in Istanbul that facilitated the immigration of Soviet Jews to Palestine, continued to operate until it was closed down by the Turkish authorities in 1935. In 1934, the Zionists founded Neʾemane Ṣiyyon (Those Loyal to Zion), a semi-clandestine Zionist youth group in Istanbul, which opened lodges in Izmir, Edirne, and Bursa in 1942. In 1941, after extensive negotiations, the Turkish government issued a decree that gave European Jews the right to pass through Turkey on their way to Palestine. In the meantime, various other Zionist societies emerged: he-Ḥaluṣ (The Pioneer), he-Ḥaluṣ Turkiya (The Turkish Pioneer), and after the closing of Neʾemane Ṣiyyon, the Histadrut ha-Ṣiyyonit. Following the establishment of the State of Israel in 1948, 4,362 Turkish Jews went on ʿaliya, and they were joined by 26,295 others over the next two years. In 1949, Turkey became the first Muslim country to recognize Israel, although it had voted against partition in 1947. On the other hand, the establishment of the State of Israel caused conservative circles in Turkey to sympathize with the Arabs and to engage in anti-Zionist propaganda. Prolific Islamist writers such as Salih Özcan, Ziya Uygun, and Hikmet Tanyu published antisemitic and anti-Zionist books in the 1960s and the 1970s, presenting Zionism as a Jewish conspiracy. Beginning in 1974, Necmettin Erbakan, then the Islamist deputy prime minister of Turkey, adopted an anti-Zionist discourse, and during his term in office relations between Turkey and Israel suffered. During 1980s and the 1990s there was more tolerance for Zionism. However, the situation changed once again after the 9/11 attacks and subsequent international developments. Zionist activism in Iran began at the end of 1917, when news of the Balfour Declaration arrived in Tehran. Many Jews perceived it as signaling the beginning of the redemption and the imminent building of the Third Temple, much as the declaration of Cyrus the Great in the fifth century B.C.E. had heralded the building of the Second Temple. In early 1918, the Anjumanifarhang-i Yahūdiyān-i Irānī (Pers. Cultural Association of Iranian Jews) was founded in Tehran, initially focusing on teaching the Hebrew language. In early 1919, it was renamed Histadrut ha-Ṣiyyonit be-Paras (Heb. Zionist Organization in Iran), and with Soleymān (Shelomo) Kohan Ṣedq as its first president, it began raising funds for Zionist programs and institutions in the Land of Israel. Somewhat earlier it began publishing Iran’s first Jewish newspaper in Judeo-Persian, Shalom (1915–1916), under the editorship of Mordechai Ben-Avrāhām Shalom. The first Iranian Zionist Congress took place in July 1919 in Tehran. December 1920 marked the publication of the first book in Persian on Zionism, The History of the Zionist Movement, by `Azizullāh Na`im, the second president of the Histadrut ha-Ṣiyyonit. In 1920 and 1921 Na`im also published the first Zionist newspaper in Judeo-Persian, Ha-Ge’ula (The Redemption). Between 1924 and 1941, however, what with the governmental prohibition on political activity of any kind, Jewish factional conflicts, and a chronic lack of resources, Zionist activities decreased dramatically. Zionism activism resumed during the Allied occupation of Iran from 1941 to 1946. Now, however, unlike the pre-1925 period, the activities were secular and nationalist. This was due in part to the modern, nonreligious education provided by the Alliance Israélite Universelle in Iran, but also to the government’s secular-nationalist doctrine and emphasis on modernization. The Histadrut ha-Ṣiyyonit renewed its activities with official permission, granted primarily in the hope of preventing young Jews from joining the leftist groups that had been gaining popularity. The Histadrut published a weekly newspaper, Ha-`Olam ha-Yehudi (Heb. The Jewish World), and raised funds. Iranian Jews, especially the youth in the larger cities, held meetings, published bulletins (such as Zion and Bunyān), and published translations of books and other materials on Zionism (e.g., Mūsā Kīrmāniyān translated Alex Bein’s Brief History of Zionism into Persian). The Jewish Agency opened its first office in Tehran in 1942 to facilitate the transfer to Palestine of Polish Jewish refugees arriving from the Soviet Union. In the postwar years it also contributed to local activities. The bet he-ḥaluṣ (Heb. house of the pioneers) in Tehran, built with money contributed by wealthy local Jews like Māyer `Abdullāh Basun, offered Hebrew classes and lectures and organized meetings, exhibitions, and youth and sports activities. In 1946, Palestinian emissaries from Kibbutz ha-Me`uhad established the Haḥaluṣ in Iran. With Me’ir Ezri as its secretary general, it became a leading Zionist organization that held three annual conferences. Qeren Qayemet le-Yisra’el (the Jewish National Fund) and Heḥaluṣ authorized Ezri to establish Iranian branches of Heḥaluṣ and Heḥaluṣ ha-Ṣa`ir and organize fund-raising committees. Ezri left for Israel in 1950, but returned to Iran a few years later as Israel’s diplomatic representative there (1958–1973). Over time, however, Zionist activities in Iran were hampered by factional confrontations that gradually began to reflect the political differences between Mapai and Mapam in Israel, as well as by the establishment of a religious Zionist organization by Hapo`el Hamizraḥi, and by personal animosities among the activists. Mapai and Hapo`el Hamizraḥi stopped sending emissaries in 1954; Mapam and Heḥaluṣ continued to do so until 1962. Following the Iranian government’s de facto recognition of the State of Israel in March 1950, about thirty thousand people, a third of the country’s total Jewish population, emigrated to Israel in less than three years (1950–1952). Consequently, Zionist activities continued to fall off. The Jewish Agency ceased its activities by the end of 1968, and through the 1970s Histadrut ha-Ṣiyyonit in Iran did no more than send delegates to the World Zionist Congress. In the 1960s and 1970s, improved Israeli-Iranian relations, the positive attitude of Iran’s secular-nationalist government, and the country’s economic prosperity all significantly improved the situation for Iranian Jews. The focus of Zionist activities, as a result, shifted to preventing assimilation, encouraging investment in Israel, and raising funds for Israel, but all this came to an end in the early 1970s. The Israeli underground effort to help Jews flee the country following the 1979 Revolution marked the end of Zionist activism in twentieth-century Iran. Abitbol, Michel. “Research on Zionism and Aliya of Orient Jewry—Methodological Aspects,” Peʿamim 39 (1989): 3–14 [Hebrew]. Goitein, S. D. “The Biography of Rabbi Judah ha-Levi in the Light of the Cairo Geniza Documents,” Proceedings of the American Academy for Jewish Research 28 (1959): 41–56. Hertzberg, Arthur. The Zionist Idea (New York: Atheneum, 1976). Laquer, Walter. A History of Zionism (New York: Holt, Rinehart & Winston, 1972). Nemoy, Leon. Karaite Anthology (New Haven: Yale University Press, 1952), pp. 34–39. Stillman, Norman A. Sephardi Religious Responses to Modernity (Luxembourg City: Harwood Academic Press, 1995), pp. 49–64. Vital, David. Origins of Zionism (Oxford: Clarendon Press, 1975). ʿAwāṭif, ʿAbd al-Raḥmān. The Zionist Press in Egypt, 1899–1952 (Cairo: Al-Ṣiḥāfa al-Jadīda, 1979) [Arabic]. Ghunayim, Aḥmad Muḥammad and Aḥmad Abū Kaff. The Jews and the Zionist Movement in Egypt, 1897–1947 (Cairo: Dār al-Hilāl, 1969) [Arabic]. Kimche, Ruth. Zionism in the Shadow of the Pyramids: The Zionist Movement in Egypt, 1918–1948 (Tel Aviv: Am Oved, 2009) [Hebrew]. Krämer, Gudrun. The Jews in Modern Egypt, 1914–1952 (Seattle: University of Washington Press, 1989). Landau, Jacob M. Jews in Nineteenth-Century Egypt (New York: New York University Press, 1969). Laskier, Michael M. The Jews of Egypt, 1920–1970: In the Midst of Zionism, Anti-Semitism, and the Middle East Conflict (New York: New York University Press, 1992). Stillman, Norman A. The Jews of Arab Lands in Modern Times (Philadelphia: Jewish Publication Society, 1991). Zvi, Yehuda. “Factors Which Influenced Zionist Activities in Egypt between 1897–1917,” Miqqedem Umiyyam 1 (1981): 249–264 [Hebrew]. ———. “The Zionist Organizations in Egypt, 1904-1917,” Sheve ṭ va-‘Am 8 (1978): 147–196 [Hebrew]. Ben-Porat, Mordechai. To Baghdad and Back: The Miraculous 2,000 Year Homecoming of the Iraqi Jews (Jerusalem, and Hewlett, N.Y.: Gefen, 1998). Cohen, Hayyim J. Ha-Peʿilut ha- Ṣ iyyonit be-ʿIraq (Jerusalem: Sifriyya ha-Ṣiyyonit, 1969). Gat, Moshe. The Jewish Exodus from Iraq, 1948–1951 (Portland, Ore.: Cass, 1997). Hillel Shlomo. Operation Babylon (Garden City, N.Y.: Doubleday, 1987). Meir-Glitzenstein, Esther. Zionism in an Arab Country: Jews in Iraq in the 1940s (London: Routledge, 2004). Snir, Reuven. Arabness, Jewishness, Zionism: A Clash of Identities in the Literature of Iraqi Jews (Jerusalem: Ben-Zvi Institute, 2005) [Hebrew]. Yehuda, Zvi (ed.). From Babylon to Jerusalem: Studies and Sources on Zionism and Aliya from Iraq (Tel Aviv: Iraqi Jews’ Traditional Culture Center Institute for Research on Iraqi Jewry, 1980) [Hebrew]. Abitbol, Michel. “Zionist Activity in the Maghreb,” Jerusalem Quarterly 21 (Fall 1981): 61–84. Avrahami, Hannah. “Les débuts du mouvement ‘haloutsique’ en Afrique du Nord (1943–1948),” Shorashim Bamizraḥ: Racines en Orient (Ef‘al: Ef‘al and Institut Yad Tabenkin, Hakibbutz Hameuchad, 1986), vol. 1, pp. 191–240 [Hebrew]. Cohen, David. “Les nationalists nord-africains face au Sionisme (1929–1939),” Revue Française d’Histoire d’Outre-Mer 77, no. 286 (1990): 5–29. Gil, B. “The Selectivity of the North African Aliyah,” Alliance Review 10, no. 29 (February 1955): 25–28. Laskier, Michael M. “The Evolution of Zionist Activity in the Jewish Communities of Morocco, Tunisia and Algeria: 1897–1947,” Studies in Zionism, no. 8 (1983): 205–236. ———. “Jewish Emigration from Morocco to Israel: Government Policies and the Position of International Jewish Organizations,” Middle Eastern Studies 26, no. 4 (1989): 465–505. ———. North African Jewry in the Twentieth Century: The Jews of Morocco, Tunisia, and Algeria (New York: New York University Press, 1994). ———. “Zionism and the Jewish Communities of Morocco, 1956–1962,” Studies in Zionism 6, no. 1 (1985): 119-139. Roumani, Maurice M. The Jews of Libya: Coexistence, Persecution, Resettlement (Brighton: Sussex Academic Press, 2008). ———. “Zionism and Social Change in Libya at the Turn of the Century,” Studies in Zionism 8, no. 1 (1987): 1–24. Schechtman, Joseph. On Wings of Eagles: The Plight, Exodus, and Homecoming of Oriental Jewry (New York: Yoseloff, 1961). ———. Sephardi Religious Responses to Modernity (Luxembourg City: Harwood Academic, 1995). Tsur, Yaron. A Torn Community: The Jews of Morocco and Nationalism, 1943–1954 (Tel Aviv: Am Oved, 2001) [Hebrew]. Yehuda, Zvi. “The Place of Aliya in Moroccan Jewry’s Conception of Zionism,” Studies in Zionism 6, no. 2 (1985): 199–210. Benbassa, Esther. “Zionism and the Politics of Coalitions in the Ottoman Jewish Communities in the Early Twentieth Century,” in Ottoman and Turkish Jewry: Community and Leadership, ed. Aron Rodrigue (Bloomington: Indiana University Press, 1992). ———, and Aron Rodrigue. The Jews of the Balkans: The Judeo-Spanish Community, 15th to 20th Centuries (Oxford: Blackwell, 1995). Friedman, Isaiah. Germany, Turkey, and Zionism: 1897–1918 (Oxford: Oxford University Press, 1977). Galante, Avram. Histoire des Juifs de Turquie (Istanbul: Isis, 1985), vol. 9. Landau, Jacob M. “Muslim Turkish Attitudes Towards Jews, Zionism and Israel,” Die Welt des Islams (1988): 291–300. Mandel, Neville. The Arabs and Zionism Before World War I (Berkeley and Los Angeles: University of California Press, 1976). ———. “Ottoman Policy and Restrictions on Jewish Settlement in Palestine: 1881-1908,” Middle Eastern Studies 10, no. 3 (1974): 312–332. ———. “Ottoman Practice as Regards Jewish Settlement in Palestine: 1881–1908,” Middle Eastern Studies 11, no. 1 (1975): 31–46. Öke, Mim Kemal. II. Abdülhamid, Siyonistler ve Filistin Meselesi (Istanbul: Kervan, 1981). ———. “The Ottoman Empire, Zionism, and the Question of Palestine (1880–1908),” International Journal of Middle East Studies 14, no. 3 (1982): 329–341. Ortaylı, İlber. “Ottomanism and Zionism During the Second Constitutional Period 1908–1915,” in The Jews of the Ottoman Empire, ed. Avigdor Levy (Princeton, N.J.: Darwin Press, 1994), pp. 527–536. Rodrigue, Aron. French Jews, Turkish Jews: The Alliance Israélite Universelle and the Politics of Jewish Schooling in Turkey, 1860–-1925 (Bloomington: Indiana University Press, 1990). Shaw, Stanford. The Jews of the Ottoman Empire and the Turkish Republic (New York: New York University Press, 1991). Stillman, Norman A. Sephardi Religious Responses to Modernity (Luxembourg City: Harwood Academic, 1995). Yetkin, Çetin. Türkiye’nin Devlet Yaşamında Yahudiler (Istanbul: Afa, 1992). Ben David, Natan. The History of the Jews of Iran During the Last 25 Centuries ( Tel Aviv: publisher? 1989) [Hebrew]. Cohen, Hayyim J. Zionist Activities in the Middle East (Jerusalem: Hebrew University Press, 1973) [Hebrew]. Davidi, Avi. ”Zionist Activities in Twentieth-Century Iran,” in Esther’s Children: A Portrait of Iranian Jews, ed. Houman Sarshar (Philadelphia: Jewish Publication Society: 2002). Kashani, Reuben. The Jewish Communities in Persia-Iran (Jerusalem: n.p., 1980) [Hebrew]. Netzer, Amnon (ed.). Jews of Iran: Their Past, Their Heritage, and Their Link to the Land of Israel (Jerusalem: Ṣurot Publications, 1988) [Hebrew]. Sadok, Haim. The Jews in Iran During the Shah Pahlavi Era (Tel Aviv: Meṣag Publications, 1991) [Hebrew]. Saidi, Avraham. The Ḥalutz Movement in Iran: Its Establishment and Its Disintegration (Tel Aviv: publisher? 1995) [Hebrew]. Shamir, Gadit. The Tehran Children: Since the Beginning of World War II (Tel Aviv: Yaron Golan, 1989) [Hebrew].